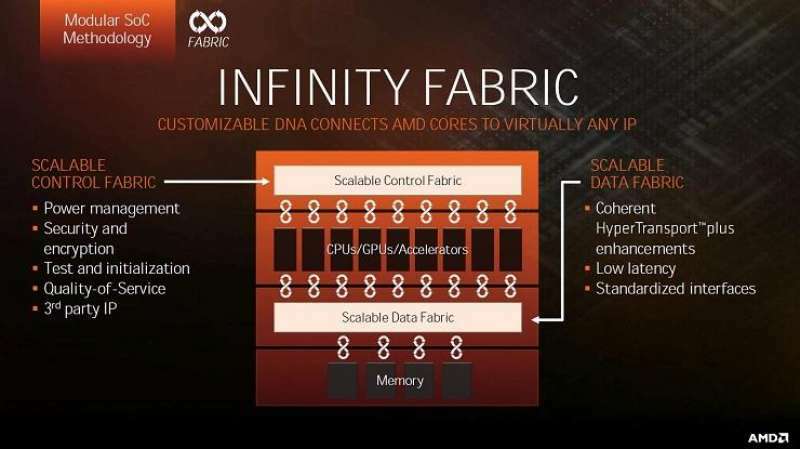 AMD’s Infinity Fabric design consists of two distinct parts: Scalable Control Fabric (SCF) and Scalable Data Fabric (SDF). The SCF includes power management, security, and anything involving maintaining the operation of the chip while the SDF is what ties the memory and the compute components together. As such, the latency of the SDF must be low enough to minimize effects of the inter-die data exchange, and it must be designed to be scalable to support multiple dies. 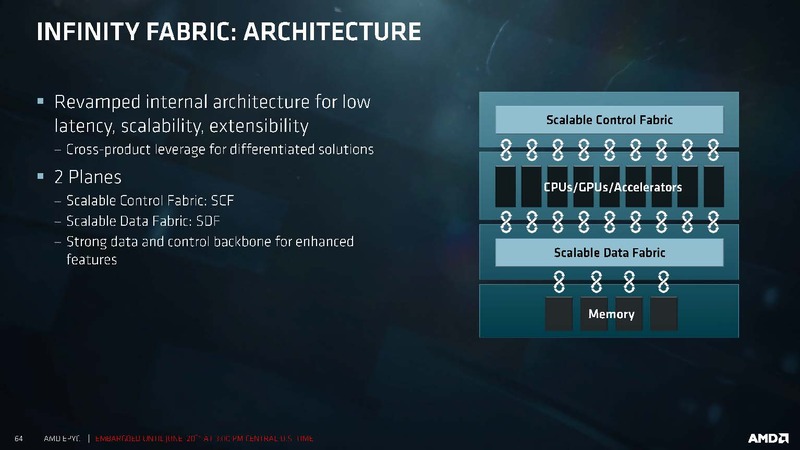 AMD claims that the SDF can perfectly scale up to 64 cores.